HIV/AIDS is often described as a crisis. How seriously are policymakers taking it? Sometimes when researching an issue you come across a response from someone that surprises you. Automatically taking news headlines at face value should anyway be avoided. After all, in the ‘China refusing to face the crisis’ piece, for example, the article itself says virtually the complete opposite, noting that by October 2003 (when the piece was published) the government had started to acknowledge the problem, having in a single day in 2002 pushed up its estimate for infected people from 30,000 to 1 million. Since then, the expected explosion hasn’t quite taken place. At the start of this decade, organizations such as UNAIDS had estimated that by 2010 there could be an epidemic, with between ten and twenty million HIV positive Chinese. 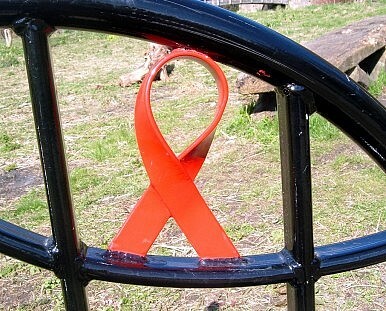 Yet according to figures published by UNAIDS for 2007, there were 700,000 Chinese living with HIV, while the Chinese government estimated in a report submitted to UNAIDS this year that there were 740,000 doing so. So back to the point I started out with. I asked George Washington University’s Elanah Uretsky for her take on the situation in China. Uretsky has spent 15 years conducting research on the issue in China and has been widely called upon to consult on the subject for numerous organizations. Interestingly, she told me: ‘Rhetoric about HIV/AIDS in China is probably disproportionate to the actual gravity of the problem. Current estimates of HIV infection in China only account for a prevalence rate of .05 percent of the population.’ She added, though, that there are some areas where prevalence rates are much higher and that really do warrant a high level of attention over the issue. According to AIDS charity Avert, two particular hotspots of infection are Yunnan Province, which is believed to have been the entry point for the disease into China in the 1980s (and where the infection rate among injecting drug users (IDUs) is thought to be as high as 80 percent), and Henan Province, where there has been a major epidemic amongst the rural population due to blood plasma donation in the 1990s. So, is the Chinese government up to tackling these issues, or even willing to acknowledge them? Uretsky told me she thinks it is, noting that the State Council has promulgated national level policies for the treatment and prevention of AIDS (she says there are now, for example, about 700 methadone clinics operating in China). But there’s a caveat to this. ‘Effective implementation is another story though, because of the vertical system of government and because local policymakers often lack the ability to implement such programs,’ she said, adding that the current bureaucratic structure doesn’t allow them to prioritize things like HIV prevention and treatment. Meanwhile, the Chinese government—even when willing to tackle the problem head on— still must also fight against a lack of awareness resulting from a failure to properly educate the citizenry about the issue in the 1980s and 1990s. Its failure to do so means discrimination and misunderstanding is till rife (evidenced by a 2008 survey showing almost one in five people thought HIV could be transmitted through sneezing). And, although there have been efforts at national education, Avert questions how much at a local level is actually being implemented, a point echoing that made by Uretsky. Typically, the real story is a lot more complicated than the headlines they come under. On Monday the health in China series continues with a look at environmental health.